Jules Sebastian is a self-made Australian business woman who is passionate about making a name for herself in her industry. 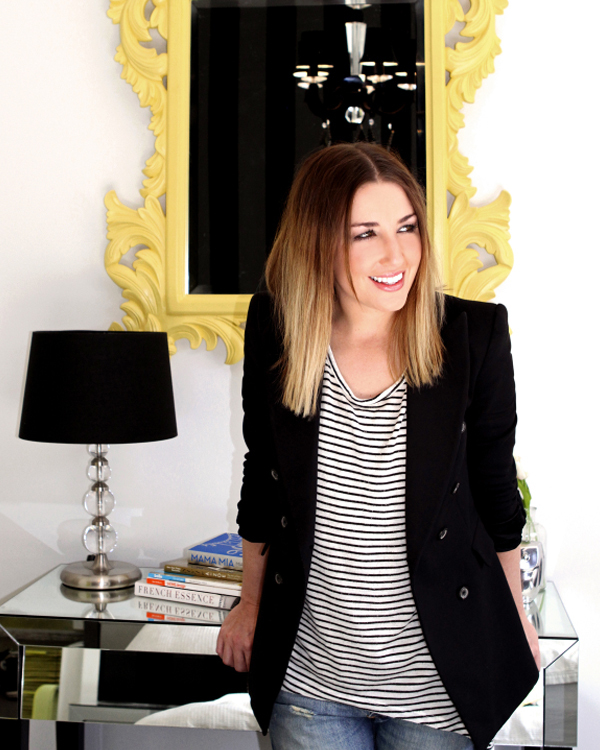 She set up, runs and manages her own personal styling company Styled By Jules. Open Colleges talks business with entrepreneur Jules! This talented doyenne is also a television presenter, spokesperson and professionally-trained make-up artist. Jules lives in Sydney with husband Guy and baby Hudson. This talented business woman has also taken on an ambassador roll for World Vision and the Red Cross while keeping up with her reporting duties on MTV’s Style Me. Here, she talks exclusively with Open Colleges about taking the leap to start her own small business. We know that you always had a love for fashion and styling – but what make you take the plunge to start your own business? I have always loved fashion, but honestly, growing up in Adelaide I didn’t know that styling was an actual job that could be a career! I dabbled in styling through fashion shows and friends and that sort of thing, but it wasn’t until I moved to Sydney and went to fashion school that I truly discovered my love for it and that I could get paid actual money to do it! Starting my own business came from the need to figure out my very “un-9 till 5 lifestyle” that went with being married to a pop star (husband Guy is about to release his 6th studio album)! Being my own boss, and working on a project basis was a much better way for me to continue working and allow for travelling interstate, overseas and on a regular basis. My site is an online service for styling the everyday person. People who are struggling with finding their style or don’t know how to put an outfit together “head to toe” can come to the site and choose a look book they would like to be sent. They fill in a questionnaire specific to their needs, then I put together a look book that caters especially to them and they can click through to online stores with specific items for the outfits I have put together for them. Basically, I send through a look book to their email address so they can purchase an entire outfit that has been put together by me! What are the three best things about running your own business? I love that the world is my oyster. I can take my business in any which direction I want and keep coming up with new and creative ideas to build the brand and change things up. I enjoy the flexibility my business brings to my life. I am a mum of one with another on the way and have a pretty jam packed schedule outside of working. It allows me to be able to fit everything in without too much stress! I really enjoy the work that I do and the people that I meet and work with. I get to choose those things and have the freedom to do what I really love. Name one business challenge you’ve had and how you overcame it. I think when clients move on or decide to try a different direction is always a hard thing to overcome. It’s hard not to take it personally, but when that happens I just keep my head up and power onto the next amazing client and try and look at the silver lining. I always want the challenges to make me stronger, give me lessons and build my character. Has networking been important to your business? Do you consider yourself a good networker? I am the worst networker I have ever known!! I am worse than the worst! By nature, I am quite a shy person, so I don’t feel that comfortable in networking situations or big crowds. I love people and getting to know who they are and how they function, so I genuinely enjoy chatting and making new friends. I am lucky enough to find myself at some pretty amazing functions and mix with some super talented people in my line of work. I gravitate towards nice, genuine people and never go into a friendship thinking ‘what can this person do for me’ – I just like nice people no matter what they do! What mistakes do you see people making when trying to start out in small business? I think the best thing to do when you are starting out is to take it slowly and start small. It’s great to have ambition, goals and dreams but you need a plan of action in order to get there. Sometimes (very rarely) things happen overnight, but in most situations it takes hard work, determination and a “hang in there” attitude to make it all happen. Slow and steady seems to always win the race. Do you have a career plan? If so, why? If not, why not? By nature, I am a bit of a planner but with my career, I have sometimes “left it to where the wind blows”! As business has picked up and I have a great team of people around me who believe in me and see good things for the future, it has made it easier to plan and fulfil the plan. I really do believe in setting goals and dreaming about things for your business – you just never know what will happen and I can safely say that my life is testament to that! Best piece of business advice you ever received. If you really want it, don’t give up. Tell us a bit about your personal life, anything you wish to share, such as any support you get from family and friends. Any hobbies, outside interests, any big plans? I feel like I am in a really great place in life right now. All the pieces of the puzzle are starting to fit together. I have an amazingly supportive husband, a beautiful son, another baby on the way, excellent family and a brilliant team around me who really understand what I am trying to achieve. Right now, my focus is definitely my child and making sure he has the best life possible, with the best experiences. It’s always a balancing act with being a family person and having a career, but I find I just wake up in the morning and run as fast as I can in a forward direction – and then do it all again the next day! Thanks Jules, for sharing your business story with Open Colleges! Check out Jules Sebastian’s website for more information about her styling business, her presenting work and more!